While everyone else is freaking out about apple season, I’d like to give pears props for a second. These soft, nutritious fruits have such a pleasant, comforting flavor. Like apples, there are many types of pears in the produce aisle. 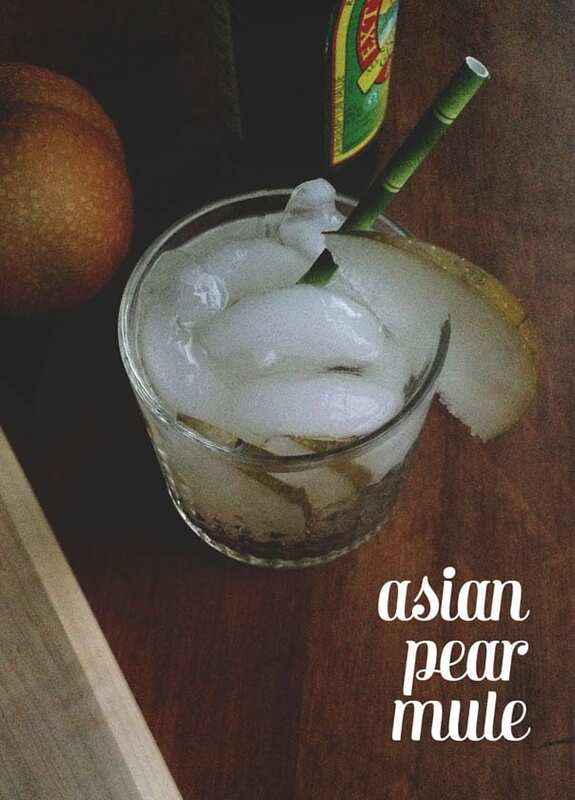 Asian pears are crisp and firm like apples, but have the luscious, mild taste of a pear. Slightly sweet with a hint of sourness. I really don’t eat them enough when they’re in season, but I really should try harder. 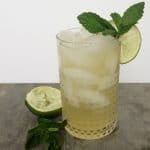 Click below for the Asian Pear Mule recipe! 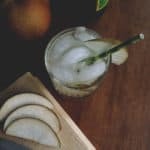 This Asian Pear Mule cocktail is tart and succulent. The spicy ginger beer will warm you right up. Fill two rocks glasses with ice. 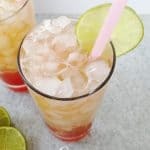 Top with vodka, ginger beer and a splash of club soda. 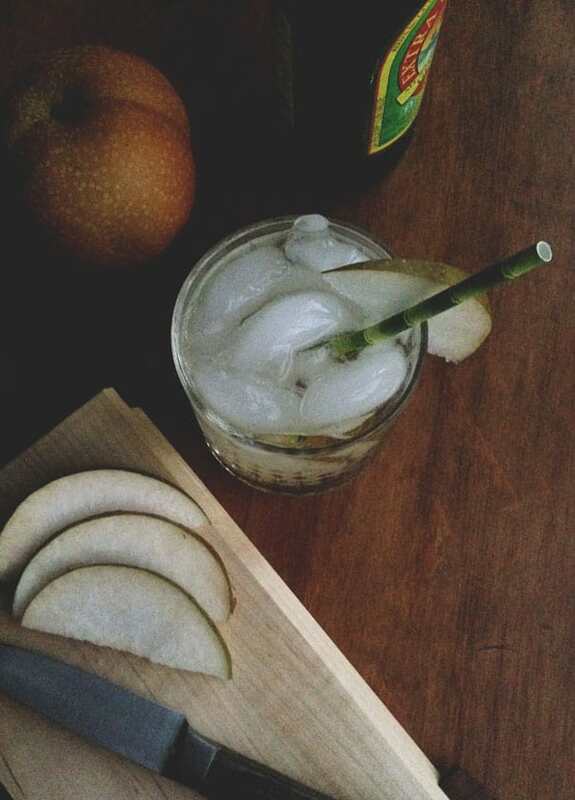 Garnish with Asian pear slices in the cocktail and on the rim of the glass. I love that it uses ginger beer. I’m supposed to buy some this week, after a friend said she was going to stump my spouse by asking for a drink we don’t keep stocked! I’m so glad you like ginger beer! 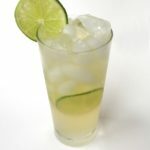 I think it is an under-loved, under-utilized drink and I love putting it in literally everything! 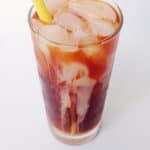 Dark & Stormys are my favorite, favorite, favorite cocktail — if that helps you with your guests! Thanks so much for your comment, Anne. Yes, you must. Pear vodka is really a life changer for me. I’m not huge on fruity things, but it is so faintly fruity that I think I can handle it. Pears really do get undervalued when up against other fruits. I love pears, but for some reason I always forget about them when buying produce. I think I’m going to have to pick some up this week and try this recipe! You definitely should, Erika! It is so yummy. You can definitely substitute any pear if you can’t find an Asian one. 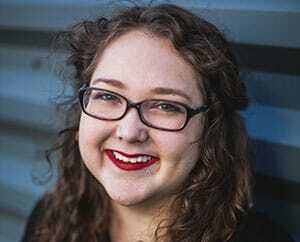 Thanks so much for stopping by, Erika. Really means a lot.